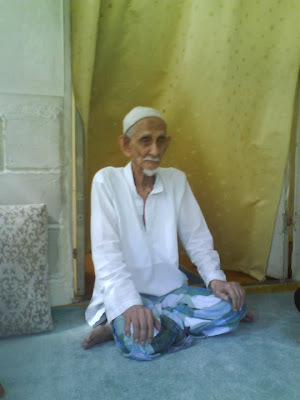 Al-Fatihah untuk al-Marhum, seorang `AuliyaUllah, al-`Arif BiLlah al-Habib `Ali bin Ja`far bin Ahmad bin `Abdul Qadir al-`Aydrus رحمه الله تعالى yang telah pulang ke RahmatuLlah petang semalam, Khamis, 13hb Mei 2010M. "Among of his saintly signs are his prayer are always got fast effect, he will know about people without they have to tell him, he will know who will come to visit him without no one tells him and many more that’s remaining as secret between him and his Lord. Ironically, even though he only spending his life in the house, many people get to know him from every where around the world. 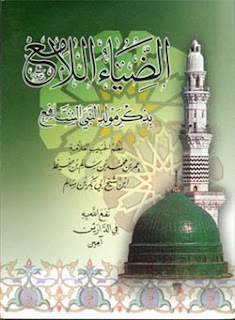 The famous Sunni Scholars such as Habib `Ali al-Jufry, Habib Omar al-Hafidh and Scholar from KSA are among them. SubhanALLAH. The beauty of a shiny diamond can never be veiled by anything. ALLAH will spread His lovers’ name and proud of having them as His servant. SubhanALLAH.